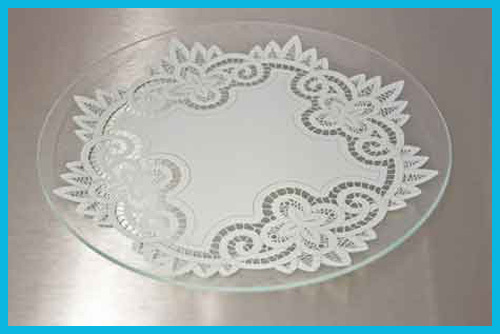 Decorated glass plate Battenburg Lace pattern. 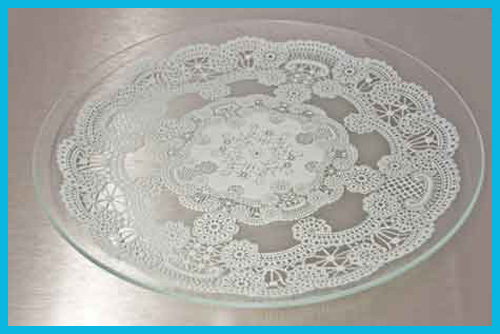 Home > Printed Glass > Lace Plates > 13" Round Battenberg Lace Glass Plate 1/8"
A clear glass plate with a white lace silk screen color. 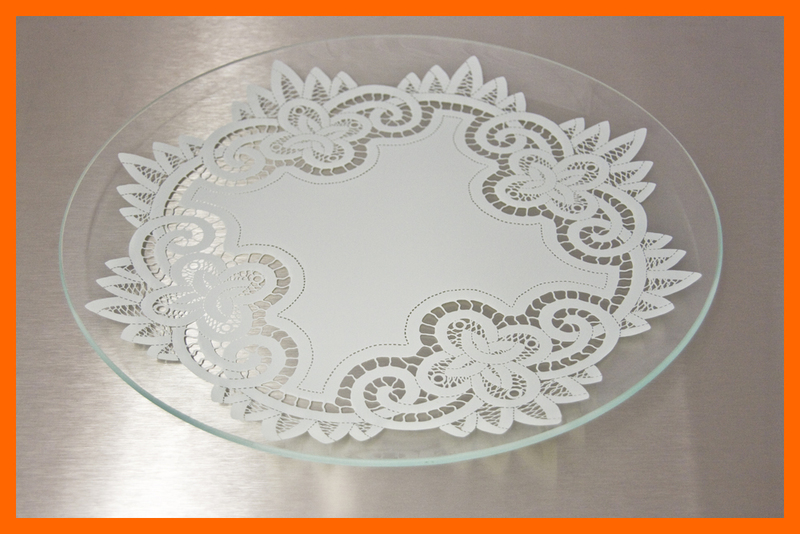 Our decorated glass plates are great to collect and display! 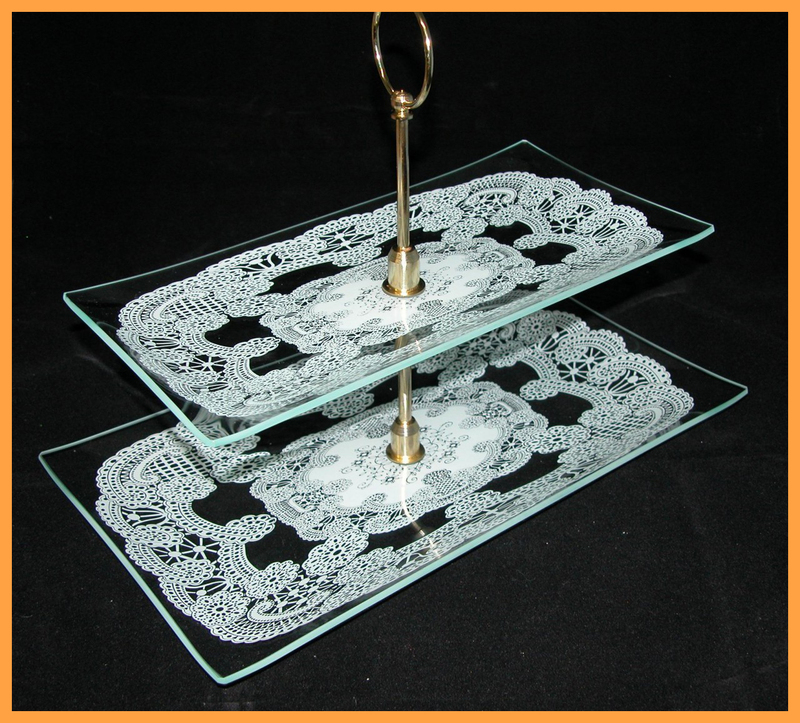 Add decoration to your light serving needs. 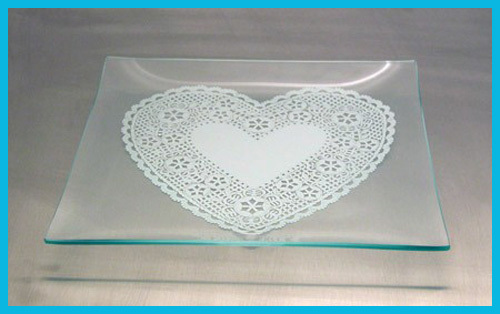 Plate designs are created though the process of silk screening. 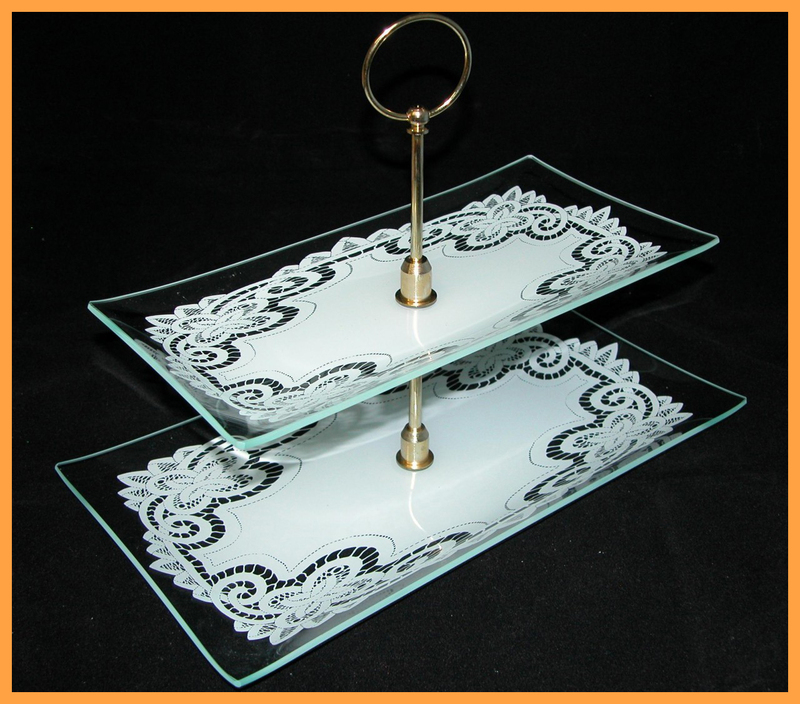 Plates are painted with a ceramic frit based paint. 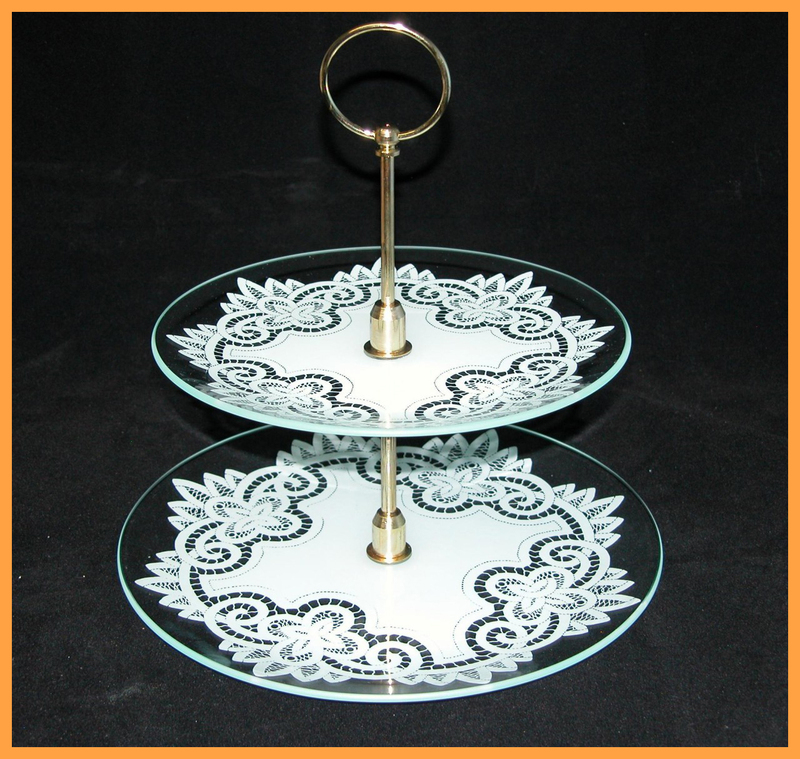 Glass made, painted, and bent in the USA.